This weekend the PSL takes a break and we resume action with the second of our cup competitions in South Africa, the Telkom Knockout. The pick of the games is undoubtedly the one in Orlando where Orlando Pirates take on their previous coach and his charges, Ajax Cape Town. Ajax are on a great run of form and lie second in the log while Pirates tasted defeat against Black Aces and will be looking to bounce back. Our friends at Huawei, the new shirt sponsor of Ajax Cape Town, would like to give you four tickets for the game. All you have to do is answer the following question via email to jabu@allthingsjabu.co.za. 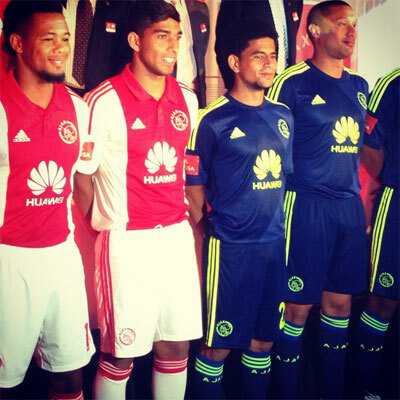 Who is the new shirt sponsor for Ajax Cape Town? Winners will be announced in an edit to this post and will be contacted via email. Winners must be South African residents and all travel expenditure is for your own account. Judges decision is final.